Café au lait spots are areas of extra pigmentation on the skin that appear as light or dark brown. 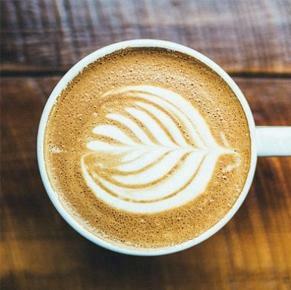 Café au lait means ‘coffee with milk’, a term used to describe these spots, which occur most often in relation to a genetic disorder known as neurofibromatosis (NF1). These spots are often observed in babies, but become more obvious as the child grows. There are many other disorders that can cause café au lait spots, and they can be unrelated to any disorder at all, but 95 per cent are caused by NF1. These areas of skin have an increase in melanin caused by melanocytes, the cells that produce melanin. In people with genetic involvement, the brown appears because there seems to be more melanocytes in these areas than other areas. If NF1 is not found, the melanocytes appear to be normal. These spots occur more frequently on darker skins, but occur just as frequently in boys as girls. If NF1 is present, the spots will increase both in size and number with age. They are never malignant. Lentigines are named after lentils, so are small brown spots on the skin. These are not associated with any other conditions. No treatment of the spots is required, but immediate testing for an underlying genetic condition must be undertaken. Laser treatments can reduce or remove the spots with varying degrees of success. Sometimes there has been complete clearance of the spots, while others have some pigmentation or patchy results after treatment. Once the spots have been treated with lasers, research suggests they do not often return. We have the best methods for clearing up pigmentation.